Are you looking for ways to improve the energy efficiency in your home? If so, replacing your windows is one of the best ways to reach your goal. 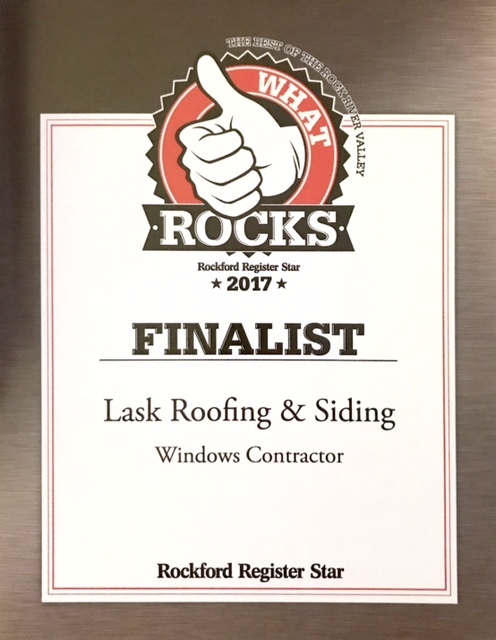 At LASK Roofing & Siding, Inc., we’ll help you keep out the hot summer sun or the cold winter rain and snow in order to keep your home at a temperature you want without paying an exorbitant energy bill. Keep your hard earned dollars in your pocket with new replacement windows from LASK Roofing & Siding, Inc..
We offer you only the best in products that are sturdy, stable and solid even while they make a beautiful change to the inside and outside of your home. The mainframe design is slim and refined and the sleek construction is a complement to any architecture type. Vinyl window frames will never peel, warp, crack or chip, and never require caulking or painting. We also add tilt-in sashes to make cleaning your windows easy. The superior all-weather performance of our vinyl windows ensures that you will save money and energy with windows that keep your home at the temperature you prefer. No matter what kind of look you want for your new windows on your home, we are confident we can provide it. Combine the best in products with our exceptional customer service and affordable prices and you get a pleasant experience all around every time you deal with us. We offer you the best choices for comfort, beauty and energy efficiency when it comes to replacement vinyl windows. Allow your investment to pay for itself as you save money on your energy bill each month. Call us first when you are considering replacement windows, and take advantage of our quality products and solid workmanship. Schedule an appointment today at (815) 788-6699.